BY & FOR is a monthly presentation in celebration of the life and music of guitarist, composer, educator, and producer Ken Aldcroft who left us far too early in September 2016. 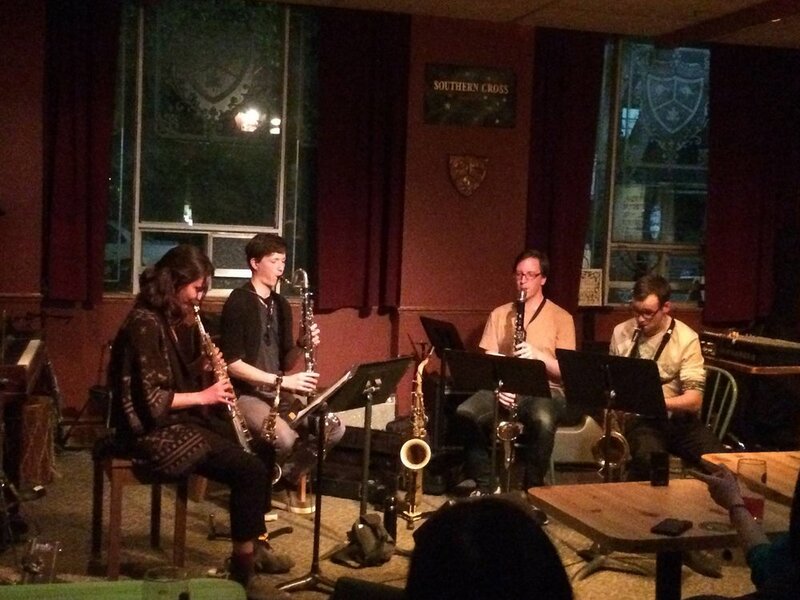 Among myriad important contributions to creative music in Toronto—and well beyond—Ken presented live concerts of adventurous music on the second Wednesday of each month at the Tranzac Club. Joe Sorbara, Aldcroft's long-time friend and collaborator, began running By & For in place of Ken's monthly in December 2016. The primary goal of the series is to make space for new interpretations of Aldcroft's compositions by an ever-broadening circle of creative musicians interested in spending some time with his music and sharing what they find. True to his dedication to original music, the series also encourages performances of music composed by the series' performers in tribute to Ken; very much including free improvisation/ instant composition. A sort-of "real book" collection of compositions by and for Ken Aldcroft is gradually being assembled in support of the series' participants. Please stay tuned for more developments and please be in touch if you are interested in taking part in the series and/or contributing an original composition to the by & for book.